Being active in your community is part of the graduation requirements in British Columbia. Therefore all grade 12 students must have a minimum of 30 Volunteer or Paid work hours before they graduate. Students who are looking for volunteer or paid work opportunities should check the postings below and come to the career centre for details and applications! 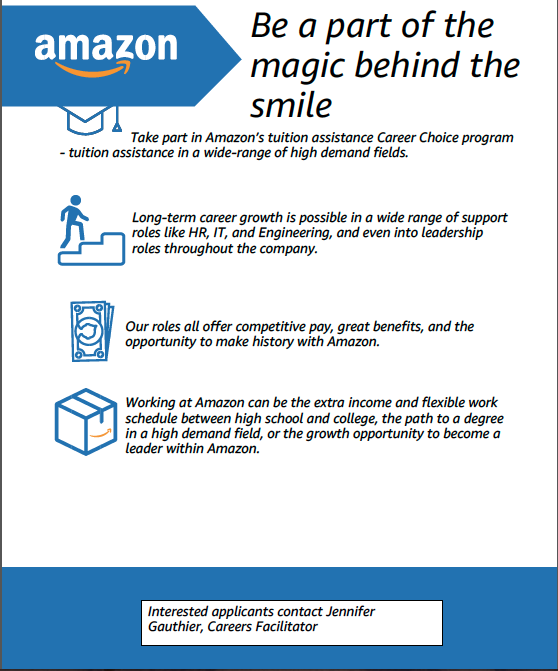 Amazon- New West and Delta * Must be 18 years old* See Career Centre for details.